Steve from Seawind Fishing Charters reports some fun Sooke salmon fishing. In just a few hours out, they landed 4 nice springs, with the biggest a 25lb beauty. Unfortunately it was wild, with only hatchery spring salmon allowed for retention, so they had to release it. The next three caught were 20lbs 13lbs and 8lbs. A great few hours of fishing all on anchovy, at 100 foot depth off the Trap Shack. They saw a couple of others around 20 pounds caught as well. 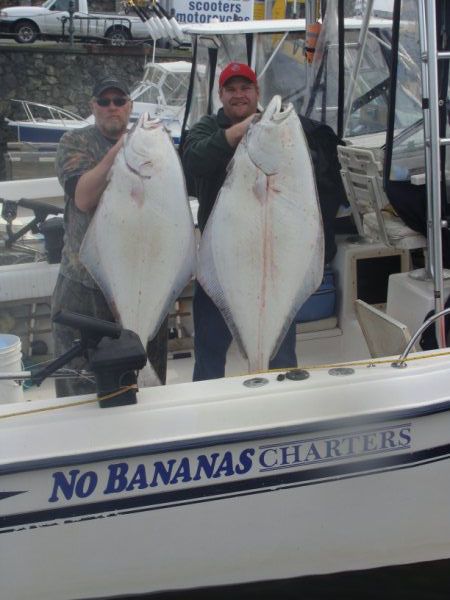 Trevor from No Bananas Fishing Charters has been doing well chasing halibut and salmon in Sooke and Victoria waters also. One trip last week limited on hatchery springs to 18lbs and trolled up a nice 30lb halibut. Another excellent day with a couple of guests ended up with a 73 and 65lber, tossing a couple 30lbrs back. Trevor reports they are getting bigger by the day! Herring was the bait of choice today, and again the 3 humps off Border Bank in 250 feet. But Trevor's best report of the week is from today, when his wife Chelsea and he landed a beautiful 9lb baby girl, Madison. She's a keeper! 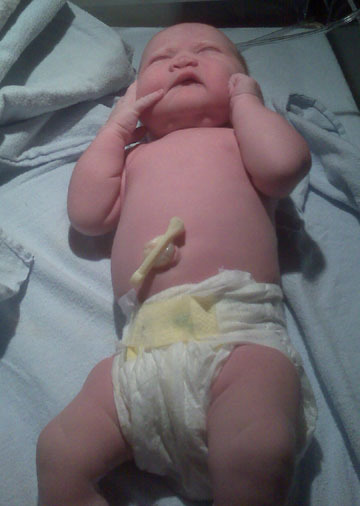 Huge congrats to the newly bigger Zboyovsky family. And to you all, good luck out there!